Bailey Looks To Regain Title For Third Time, Faces Speight On Saturday. 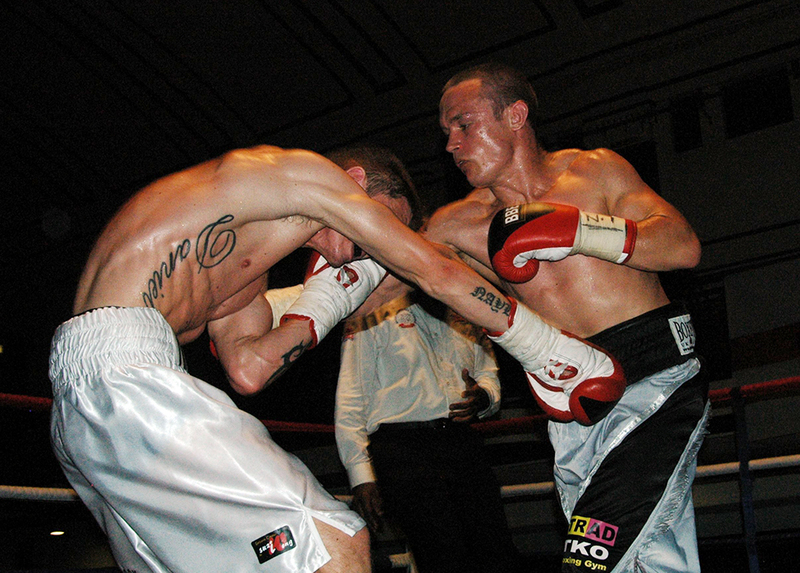 London – Wednesday 13th May 2015 – Slough’s Ian Bailey is hoping to regain the Southern Area Featherweight title, that he lost on the scales after failing to make championship weight, when he faced Dan Naylor back in July 2013, when he challenges reigning Champ Jamie Speight on the Goodwin Promotions event at York Hall in London this coming Saturday. Bailey, who during his seven year pro career has held the Southern Area Featherweight crown on two previous occasions, as well as both British and International Masters titles, will be undertaking his eighth Championship contest. His opponent Speight, who won the title against Craig Whyatt in May last year, will be competing in his tenth Championship bout and has held both the Feather and Super Feather Southern Area titles as well as the International Masters Light Welterweight title during his career. On paper, as well as in the eyes of many pundits, the match up looks about as equal as it could be, as both Bailey and Speight have twelve wins each, both are superb boxers and both have minimal stoppage wins on the record, Bailey four and Speight just the one. Champions TKO Gym’s head honcho and Bailey’s manager, Johnny Eames, spoke briefly about the upcoming bout and also expressed his disappointment at the fight being for the Southern Area and not the English as he had expected. “Obviously we’re pleased that Ian is fighting for the Southern Area title, against Jamie Speight, which will be a great fight and would like to thank Steve Goodwin for giving Ian the opportunity to fight for the title on his show. “As Johnny says I’m really pleased to be fighting for the Southern Area title again, but that’s tinged with a little disappointment over the English title shot, which would have given much more leverage for a possible British title shot in the future, I mean an English title takes you further up the domestic rankings and ultimately could line me up for a shot at the British, well that’s what it means to me, if it had been the English title it would have been better for me career wise. Don’t get me wrong I want this title back, I’m super fit, I still do things the way I normally do for a title fight, hopefully after this something bigger comes along. Training has been going really good, good sparring, done some good sessions with Mitchell Smith, Mickey O’Rourke as well as with some top amateurs, so had some really good sparring for this one, yeah so preparations have gone really well. It looks like it’s going to be a really good show and a really good fight, Jamie can be a runner, I think he’s going to back off to give himself some space, because I will be too much for him in every department, so he’ll do what he needs to do to try and break my rhythm and I’ll do what I need to do to get into him and do my thing. Ian Bailey versus Jamie Speight for the Southern Area Featherweight Championship features on the Goodwin Promotions event at the York Hall, in Bethnal Green, London on Saturday 16th May 2015.